According to Secretary Vitaliano Aguirre II, it was Senator Leila de Lima who gave “special privileges” to those high-profile inmates. Now, here’s Sec. Aquirre’s comeback. 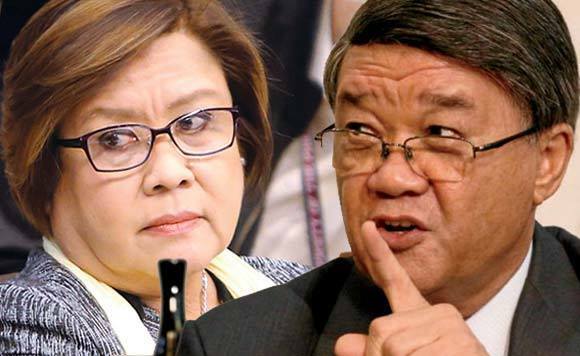 “However, allow me to point out that Senator De Lima used the term ‘restores’, it only means that she is admitting that such privileges that she claims were restored were existing during her time as Secretary of Justice!” pointed out Aguirre. “She must be referring to her stint as Secretary of Justice when such privileges abounded and were tolerated in the NBP,” he said. “She must have a lot of spare time to reminisce about her past. You can only reminisce about factual things, things that actually happened,” he added.